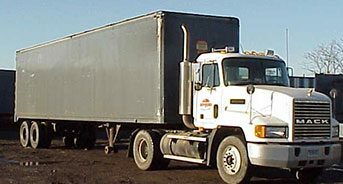 Aaron Supreme is a local leader in the rental and purchase of storage trailers of all kinds. We work with a variety of business owners and industries, from construction to manufacturing. It’s our goal to ensure your storage trailer is optimized for your specific needs. From excess merchandise to refrigerated storage, we offer the right trailer for you. Aaron Supreme can deliver your container to the location of your choice, from construction and real estate development sites to warehouses and industrial plants. As you can see, there are many temporary uses for our storage trailers. You can also tailor the number of units to your needs as your situation changes throughout the year. This allows you to optimize your building while keeping your costs to a minimum. Here at Aaron Supreme, our goal is to ensure your trailer works for you. Our storage trailers are durable and built to last, designed to accommodate any temporary use needs you may have in your line of work. Not sure if our storage trailers can meet your temporary needs? Just ask us. We would be happy to help. We have been in this business since 1964, serving Connecticut, Massachusetts, Rhode Island, and New York. Our storage trailers are designed to accommodate your permanent storage uses as well. From retail to manufacturing, we cater to a variety of industries that need more than a temporary solution can provide. Sometimes, there are situations that simply require extra storage space on a permanent basis in order to operate efficiently and profitably. Perhaps you need a place to store your lawn equipment or motorcycles as a homeowner. Maybe you have merchandising that needs a permanent home. Other times, you need a non-mobile modular structure that will stay put for the long haul. Whatever the case may be, you need a storage trailer that can protect your items while providing a sturdy and stable home in which they can stay on a long-term basis. With permanent storage, you don’t necessarily need all the bells and whistles that may come with other types of storage. You just need peace of mind knowing your items will be kept safe, even if you don’t move or touch them for a while. We would be happy to meet with you at your location to discuss a quick, easy and cost-effective solution to your permanent storage needs.